Rotavirus infection is a very unpleasant disease. Particularly difficult to tolerate small children and pregnant women. But expectant mothers should not panic. If you treat the disease properly, health of the fetus will be safe from harm. Rotavirus infection, or, as it is called, the stomach flu, can be transmitted anywhere. The cause of infection may be contact with a sick person, eating poor quality food, poor quality of water. The prevention of this disease is regular hand washing with soap and water. You must also try to avoid staying in crowded places during the epidemic. Special attention is given to pregnant women. They usually suffer high fever and severe vomiting. Besides, they are allowed to take not all medications. Symptoms of rotavirus infection are diarrhea, fever, chills, vomiting. Some confuse them with symptoms of poisoning. Moreover, during infection by rotavirus typically experience very unpleasant sensations in the lower abdomen. By itself, rotavirus infection is not so terrible. It does not cross the placental barrier and therefore has no negative impact on the fetus. But in the absence of proper treatment it can be very dangerous. First and foremost, it is to dehydration. Dehydration can cause lack of oxygen, which in turn creates a threat of miscarriage or premature birth. It is also dangerous for the pregnant woman. The use of any antibiotics during the infection of rotavirus is not required. The treatment is to replenish lost fluids. 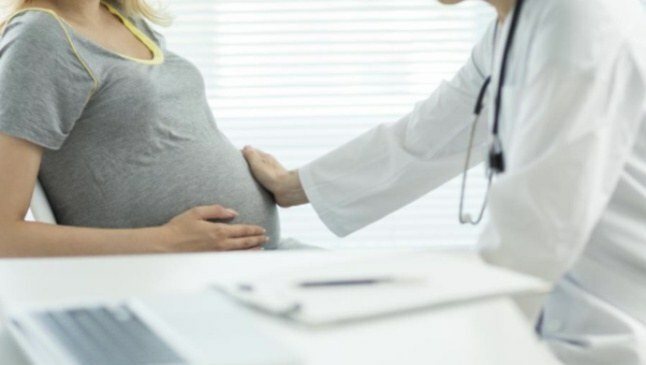 Pregnant in such cases, prescribed excessive drinking and the use of different electrolytes, rehydration preparations, which can be purchased in pharmacies. If severe vomiting, should immediately call a doctor. Perhaps the specialist will prescribe inpatient treatment. In order to stop the intoxication, it is possible to use activated carbon, which is not contraindicated for pregnant women. Calculate dosage is quite simple. For every 10 pounds of weight expectant mother will need 1 tablet of activated charcoal. To bring down the temperature you can use paracetamol. The rest of antipyretics can have a negative impact on the mother and fetus. Fans of homeopathic remedies can try to bring the temperature down with drugs of natural origin. But before treatment is necessary to ensure that they are allowed during pregnancy.